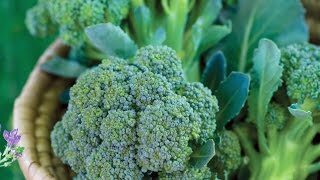 Productive, Italian heirloom broccoli especially good for freezing. De Cicco is an excellent choice for extended harvests for home gardeners. Vigorous plants yield 3-4", blue-green heads. After cutting the main head, more side shoots develop, producing many more small to medium-sized heads through the summer. Good for steaming, stir-fries and for freezing. Sow indoors six weeks before transplanting outdoors. Certified Organic. 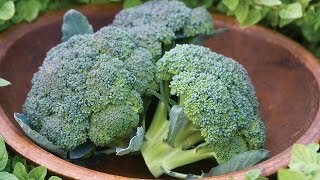 Broccoli, De Cicco Organic is rated 5.0 out of 5 by 1. Rated 5 out of 5 by grandpa48 from better than advertised The advertisement for the DiCicco broccoli calls for 4" heads. I just picked my first one for this spring and it measured almost 9". There are several others still in the garden that promise to be just as large. Flavor is incomparable.